The Steelers typically aren’t big spenders in free agency, as they typically focus on rewarding their in-house talented with extensions instead. 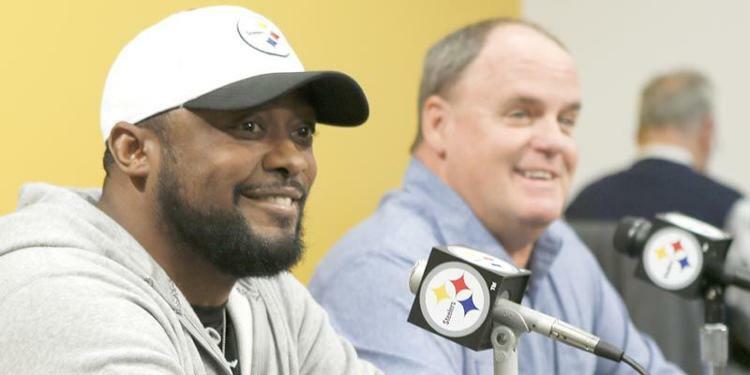 The Steelers ability to find bargains in free agency, as well as develop talent from within their organization, has yielded a lot of success in the Kevin Colbert era. However, after missing the playoffs last year, as well as losing several key pieces over the past two seasons, Colbert had some serious work to do this off-season. This is the most money The Steelers have spent outside the organization in the KC era, and now we will go through how each addition affects the team. It is no secret The Steelers have struggled to find corners in recent years, whether it be through free agency or in the draft. Some not so notable attempts include Artie Burns, Senquez Golson, Ross Cockrell, Brandon Boykin, Antwon Blake, and the list goes on and on. 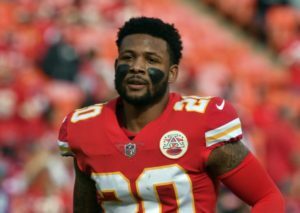 This year, The Steelers had some extra money to play with, so they were finally able to sign someone who appears to be an immediate boost in Steven Nelson, who they signed to a three year contract. Nelson was drafted by the Kansas City Chiefs in the third round, out of Oregon State in 2015. After spending much of his first season watching from the sidelines, he became a full-time starter in his second year. In his first year as a starter he defended 16 passes, which was good for the ninth most in the league that season. Part of that high number is because he was targeted often, as he had an up and down year. He also failed to record an interception that season. In Nelson’s third season, he started the year on IR (designated to return) has he had core muscle surgery shortly before the season. He returned in week eight of that season and regained his starting role the week after. Nelson hit his stride after that as he was able to provide a boost to the Chiefs secondary down the stretch. 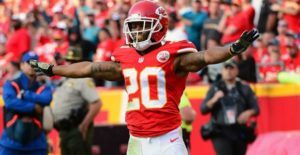 In Nelson’s final season for the Chiefs he became their #1 corner as they traded away Marcus Peters during the off-season. Nelson stepped up to the plate and earned himself a big payday as he intercepted four passes (his only four career interceptions) and defended another 15 passes, which was good for fifth in the league. While Nelson was able to force several turnovers this past year, it wasn’t without some negatives, as Nelson allowed six touchdowns as well this past season. Nelson has a lot of starting experience for a fourth year player, and if last year is any indication, he is someone who can create turnovers, which The Steelers desperately need. The Steelers were near the bottom of the league last season in interceptions as they only managed nine on the year. The big question is, is Nelson the play-making corner he was last season who managed to intercept four passes, or the more conservative player who didn’t have one through his first three seasons? The answer is, he is likely somewhere in the middle of those two. His high number of passes defended means he is consistently making a play on the ball, so he gives himself the opportunity to create turnovers. This is something The Steelers and all fans should welcome with open arms, as it has been missed. As how the addition of Nelson will effect The Steelers roster moves going forward, it definitely takes some emphasis off of addressing the position immediately. The Steelers look to be in a good spot going into next season with their top three corners being Joe Haden, Nelson, and Mike Hilton. They do not have great depth behind them however, as all they currently have rostered is Artie Burns and Cameron Sutton. Burns has been a disappointment since being drafted, and Sutton doesn’t have much experience to have any confidence right now in him either. Also, Joe Haden is entering the last season of his contract, and is going to be 30 in April. Not saying they won’t resign him next year, but there is a decent chance they will move on from him next year. 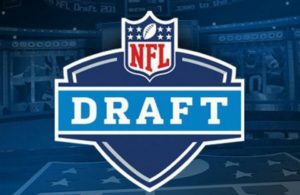 All of this means the Steelers are still likely to attempt and draft a corner with one of their picks on day one or two of the draft. Whoever they draft likely won’t need to play right away as they learn from Haden and Nelson, but they will likely be asked to assume a significant role no later than year two. After Ryan Shazier went down with what was a life altering injury against the Bengals in 2017, The Steelers were left with a hole in the middle of their defense. They attempted to address the position last season with Jon Bostic, and while he had some success, it is clear he isn’t the long term solution. 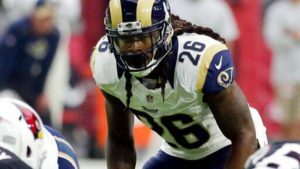 The Steelers went to free agency again this season as they signed Mark Barron to a two year deal. Barron came into the league as a safety out of Alabama when he was drafted by Tampa Bay in 2012. As expected, Barron started all 16 games his rookie season and was voted to the all-rookie team that year as well. Barron’s name carried more weight than his play did, as he struggled to defend the pass while Tampa had the worst pass defense in the league that season. However, Barron did defend the run well, as he finished the year with the fourth most tackles for the Bucs. Over Barron’s next season and a half in Tampa, he continued to struggled when defending the pass, as he continued to fill the role as a box safety for the Bucs. After his first two and a half up and down seasons in Tampa, they unexpectedly traded him to the Rams during the middle of the 2014 season. Even Barron himself was incredibly surprised by the trade, as he announced his frustration with the lack of communication leading up to it. Initially for the Rams, Barron continued to play as the box safety who did well in run support. However, midway through his first full season with his new team, the Rams moved him to weak-side linebacker. Barron excelled in his new role as it allowed him to consistently play closer to the line of scrimmage. Over the next several seasons for the Rams, Barron’s play hasn’t changed much. He continues to be a good run defender, who struggles to defend passes down the field, especially if he is in man coverage. Throughout Barron’s seven year career, he has been a pretty consistent player. He has continued to play well when he is close to the line of scrimmage defending the run, and being able to flow sideline to sideline. He has also continued to struggled when being asked to play man-to-man with good receiving tight ends or slot receivers. Barron is a very experienced player that brings a lot of value due to the multiple positions he has played throughout his career, and his athletic skill set. However, his success against the run and his struggle versus the pass might mean he isn’t a large upgrade over Bostic, assuming that is the role he will take over for The Steelers. There were some assumptions that signing Barron meant an end for Morgan Burnett’s brief time in Pittsburgh, and Barron would slide into the big safety/dime backer role. Up until this point however, Barron has stated he is in Pittsburgh to play linebacker and not come off the field. Until the season starts, we may not know what Barron’s role truly is, which makes projecting how this effects The Steelers a little difficult. There are two routes in which the Barron signing takes The Steelers. The first route is one where Barron takes over as the starting middle linebacker next to Vince Williams. In this scenario, it lessens the need for the Steelers to find a linebacker very early in the draft. There is a lot of people predicting The Steelers are targeting either Devin White or Devin Bush in the first round of the draft. While Barron’s signing doesn’t mean they still won’t target one of those two, it lessens the pressing need to do whatever they can to make it happen. The Steelers would still need to look into investing into the linebacker position at some point as an insurance policy, but it lessens the urgency. The second scenario is one where Barron becomes the new big safety/dime backer following Burnett’s release. This would mean The Steelers still have a big hole to fill in the middle of their defense, and likely will do whatever they can (likely using some of their ten draft picks) to move up and assure themselves a shot at either White or Bush. Regardless of which route they go, the signing of Mark Barron at the minimum gives the team flexibility on which route to take in the opening rounds of the draft. The whole Antonio Brown situation resulted in The Steelers having a major whole to fill outside. It is hard to expect them to find any one player who is capable of filling those shoes. 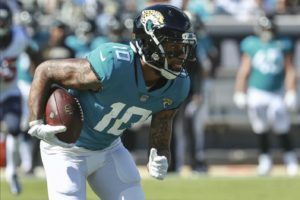 They didn’t waste a lot of time taking the first step in attempting to find his replacement by signing Donte Moncrief to a one year deal, which took place one day after free agency opened. Moncrief was drafted in the third round by the Indianapolis Colts in 2014, and had a lot of hype heading into his first season. 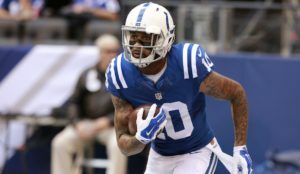 Moncrief shot up some draft boards with his testing numbers by running a 4.40 40 yard dash, all while measuring in at 6’2″ and 221 lbs. That speed and size translated immediately into a part time role his rookie year, as he scored his first career touchdown against The Steelers on a go route in-between Cortez Allen and Troy Polamalu. He finished the year with over 400 yards and 3 touchdowns. In his second year for the Colts, Moncrief started ten games for the Colts and had his best year of his career. On the year he ended up with over 700 yards and 6 touchdowns, as him and Andrew Luck developed a solid connection. He didn’t make nearly as many splash plays in his second season, but that is more due to the fact that the Colts used him closer to the line of scrimmage on screens and slants, as opposed to down the field. Moncrief struggled in his third NFL season, as he missed seven plus games due to multiple injuries. Even though he only played in nine games total, he still managed to catch seven touchdowns. His knack for finding the end zone is something that he has always been able to showcase throughout his career. Even though he found the end zone seven times, he also put up his lowest yard per catch that season, as he averaged less than 11 ypc. Similarly to his second season, that was due more to the way he was used than his overall ability. Moncrief’s fourth season was by far his least productive, as he had career lows in catches and touchdowns. Almost all of the blame for the down season can be pointed towards the fact that Andrew Luck missed the entire season due to injury. Moncrief himself missed four games as well. After the season was over, Moncrief signed a one year deal with the Jaguars to attempt and rehab his value. Unfortunately, having Blake Bortles throwing to him didn’t help his cause too much. Despite that fact, Moncrief still put together his second best statistical season by posting his second highest totals for both catches and yards. Moncrief also was able to show off his top shelf speed with the Jags, as they operated with a more vertical passing game off of play action. Throughout his career Moncrief has typically played the ‘X’ receiver position, which for The Steelers, was previously held by AB. This will help with his transition to a new team and new offense, as he is going to be asked to do a lot of the same things. What AB was asked to do was not only attack down the field and beat tight press coverage, but he was also asked to be able to catch screens and make people miss in space. Also, AB was heavily used in the red zone, as he have arguably the most complex route tree of any wide receiver in the league on the goal line. While Moncrief has done a lot of the same things, he is obviously not even in the same conversation as AB yet, and has a lot to prove trying to step into those shoes. As far as how the addition of Moncrief will effect The Steelers moving forward, I don’t think it changes their strategy, but instead takes some pressure off of them to not reach for a receiver early in the draft. The Steelers have a long track record of being successful drafting wide receivers, and they come from all rounds of the draft. That list includes Santonio Holmes (1st), Mike Wallace (3rd), AB (6th), JuJu Smith-Schuster (2nd), Emmanuel Sanders (3rd), and a few others. Because of this success, it likely means that signing Moncrief doesn’t change their draft strategy. The Steelers are still likely to draft a receiver on on day two, or early on day three, and that was likely the case before the Moncrief signing as well. This will add another play-maker to what on paper is an already potent offense, but also gives them a replacement if Moncrief isn’t resigned next off-season. While many wouldn’t consider adding draft picks a free agent addition, it is still a welcome addition to The Pittsburgh Steelers assets. The Steelers aren’t often very active during the draft, as they are typically able to sit back and take the best player available. This has paid off for them in the past, as they have been able to catch some falling prospects who turned into very good players over the years. However, this team has some holes that are much larger than usual on their roster. This may force their hand, as they may need to target certain positions throughout the draft. This is where the extra draft picks they have acquired comes into play. They have ten picks this season, which includes an extra third round pick, and two extra six round picks. Since they have these extra picks, and they already have a lot of their roster filled out due to having a lower amount of free agents leaving the team than normal, they will likely attempt and move up in the draft. The potential of moving up in the draft is something that many Steelers fans would welcome. 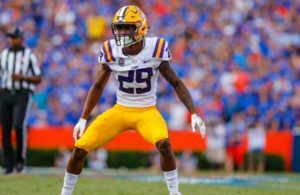 Especially if moving up in the draft meant they could snag one of the top linebackers in the first round (Devin White or Devin Bush), one of the top corners falling into the second round (Greedy Williams or Byron Murphy), or just trading away draft picks for a veteran player that has been rumored to be on the block. All of these are options that could improve The Steelers roster and take advantage of having extra draft assets.